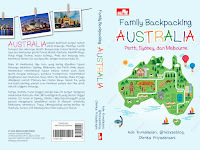 Finally the time has come for our group to go back to Jakarta. We flew again with Turkish airline from Munich International airport which called Frans Josef Strauss International Airport. 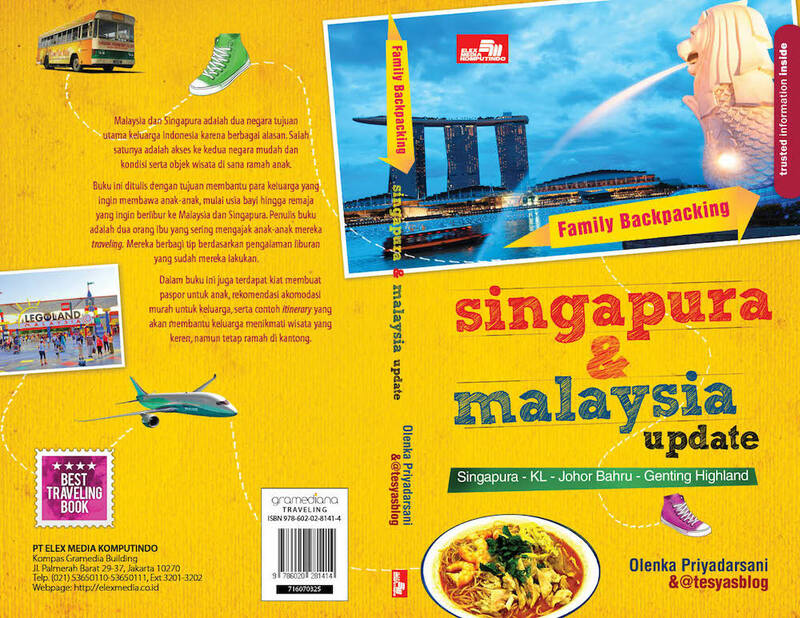 We had to transit in Istanbul and Singapore before arriving in Jakarta. 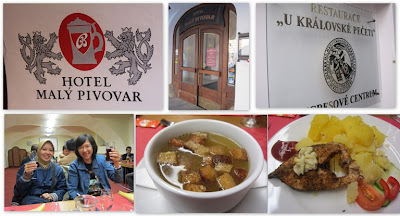 This is going to be my last post of our East Europe Trip. 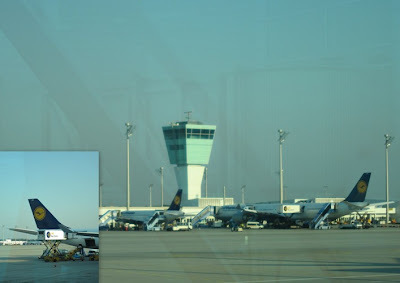 After 25 posts, I have finished uploading my East Europe journey in my blog:) In this post, I just want to share how the Munich airport looks like. 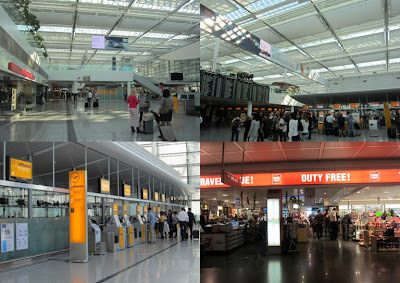 The departure hall is huge, Lufthansa has a special section right at the center of the departure hall. After the immigration, we'll find duty free shop inside. The immigration was very detail, every SLR camera were checked thoroughly, and the officer tried each of the SLR camera! 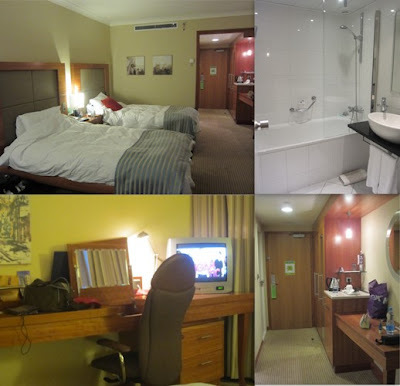 We arrived 3 hours before our schedule, so we checked in first prior to the tax refund process. The gate was not open yet, but all the luggage already queue up. One person carry max 30 kg, and if the luggage is over 30 kg, the lady at the check in counter asked our group to take out some stuffs. Our tour guide explained that it's a government policy due to health concern for the porter, max luggage wight is 30 kg. For those who have items to be declared for the tax refund, after checking in, the baggage should be taken to the tax refund section. After completing the tax refund process, the baggage shall be dropped in at the check in counter. Than we proceed to the gate, where I found internet PC not for free! Wish the PC is free like in Changi. 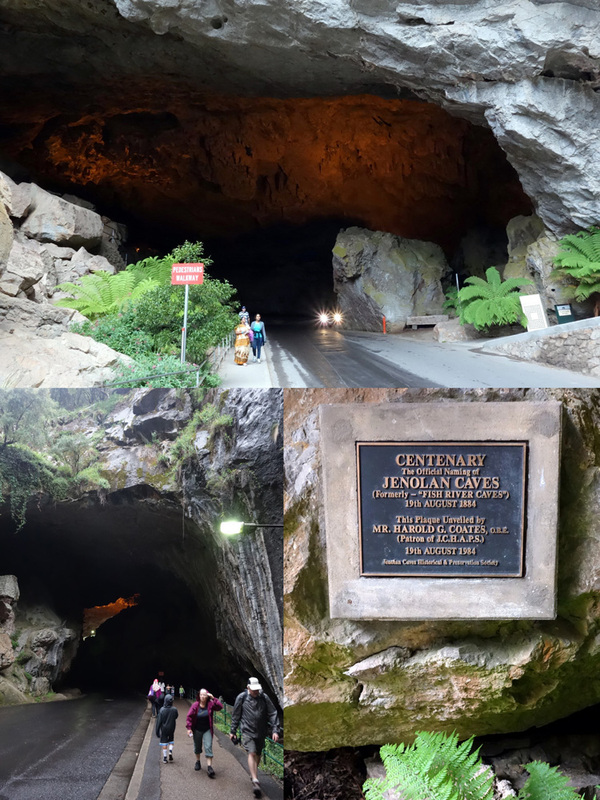 It was an unforgettable journey after all, and glad that I have uploaded all the stories in this blog. I thank you who have read all of the stories. 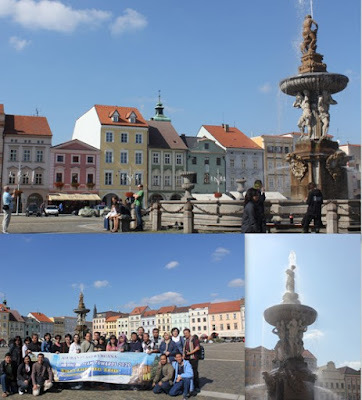 This is the last day of our East Europe Trip, yes we're flying back from Muenchen. Our flight was on the evening, which is good that we had the time to explore Muenchen, since we haven't visited the famous Marienplatz on our first day in Muenchen. 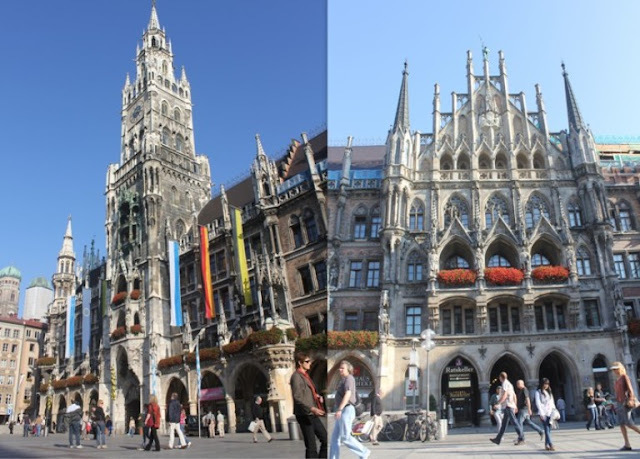 Marienplatz is a square at the center of the city, with an old and a new town hall. A very beautiful building indeed. 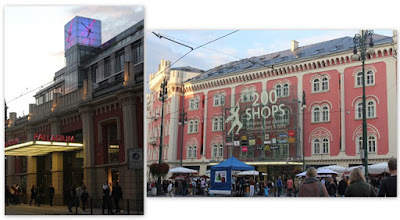 We were given free time to shops arpund Marienplatz, there were so many branded store around the area. I went inside "Galeria Kaufhof" it's a seven floors building offering from chocolates, souvenirs, toys, bags, clothes, and much more. 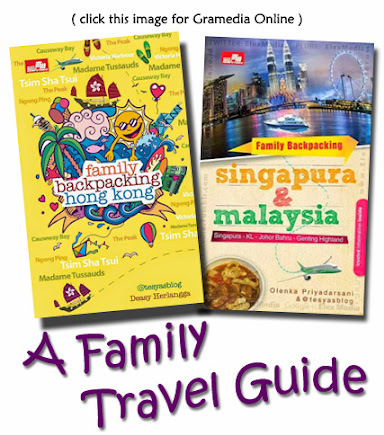 You can find almost everything here. Too bad I didn't take any pictures of it, but I did take picture of the shops in the surrounding area. Here's the Hard Rock Cafe. 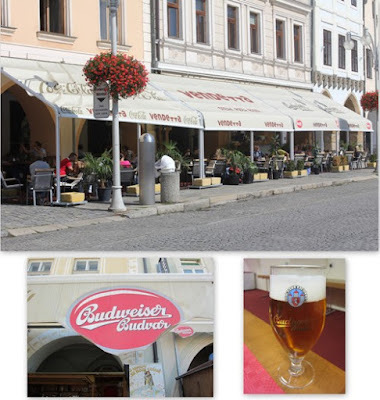 And the famous beer house called Hofbrauhauss is also near Hard Rock. 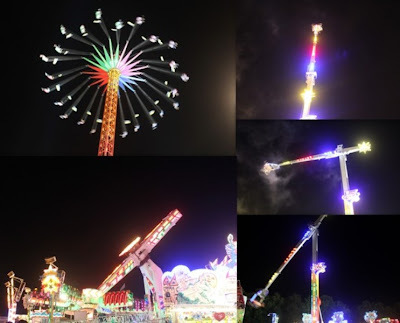 We were told by our tour guide that our group was lucky to be able to visit Oktober Feest at Muenchen during our tour. We went there after having dinner at Schubeck, yes we were so tired, some of us prefer to stay on the bus. But many of us still walk out of the bus to see how the festival was. It was held in a huge garden in an area called Theresienwiese, which became an amusement park with many beer tents (I mean a really huge tent). People just went there to enjoy the beers and also the bavarian music. I didn't go inside the tent, together with Lisa and Mba Cici, exploring the park. We just love seeing the crowd, many of them in traditional clothes, enjoying all the games. Of course there were also food, beverages and sweets kiosks in almost every corner. Indeed we were lucky to have the chance to visit the festival. 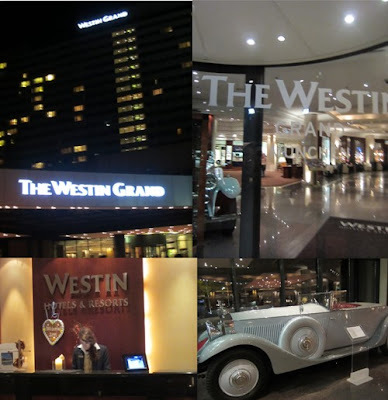 We stayed one night in Westin Grand Muenchen. The hotel located a bit outside the city, but it's a very nice and modern hotel. 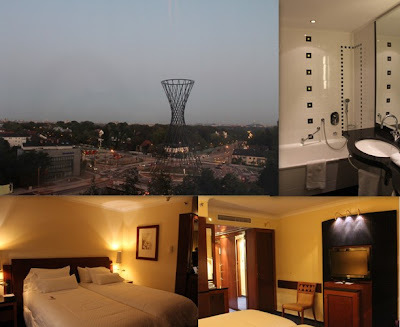 The room is spacious, it has a great view to the city. The bathroom has a mixed bathtub and showe. 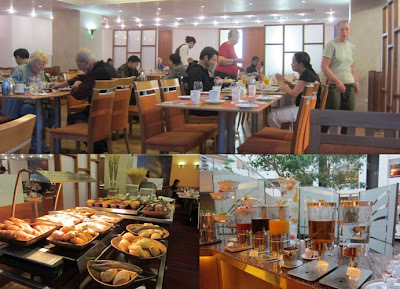 What I like the most was the breakfast. 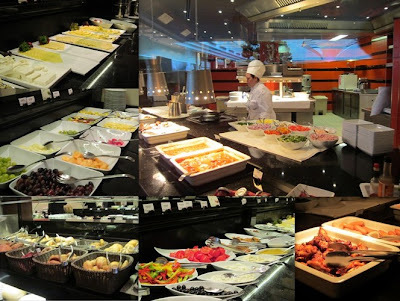 It has so many variety of food, and the open kitchen concept was the highlight of the breakfast. Muenchen was our last city before we depart and go back to Jakarta. We left Salzburg after we had our lunch, and about 4 pm we arrived at Muenchen. 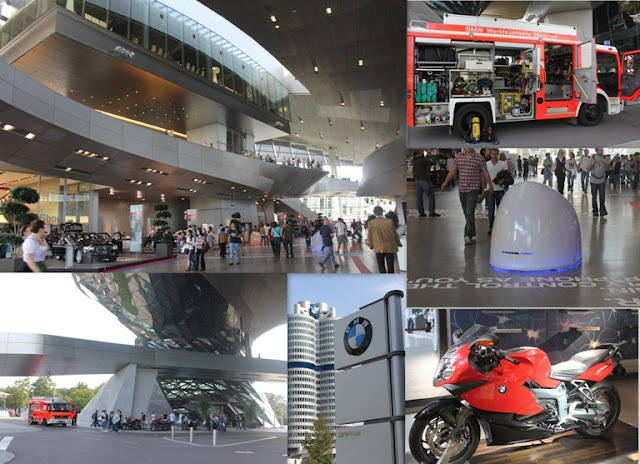 First we visited the BMW welt, a museum of BMW located in front of BMW headquarters. In this place beside cars and motorcycle, I also found a BMW robot and fire engine. Just beside the BMW welt, there's a park which was linked to the olympic building. But due to the time constraint, I didn't visit the olympic building. The BMW welt located not far from the famous Muenchen tower. 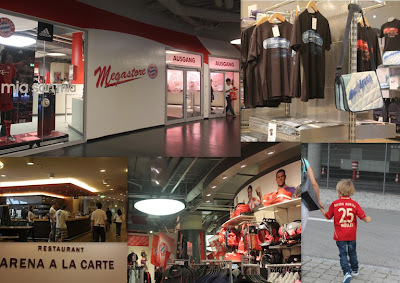 Our group requested the tour guide to visit Arena, the soccer field as the basecamp of FC Bayern Muenchen. The bus took us there, and the Arena (at the moment sponsored by Allianz) is just so huge. We had to walk quiet far from our bus parking place to go to the Megastore. Too bad we couldn't see the soccer field as it is closed already. 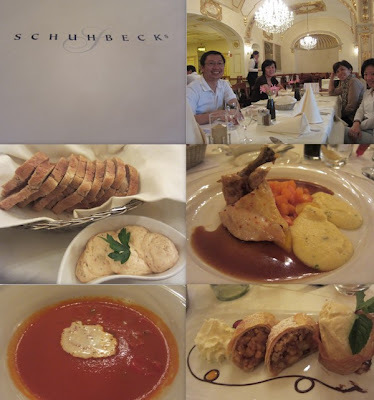 Than we had a fine dining, a farewell dining I might say at Schubeck. Started with a tomato soup with delicious bread, than chicken steak and apple strudel with ice cream as the desert. Mmm..yummy! 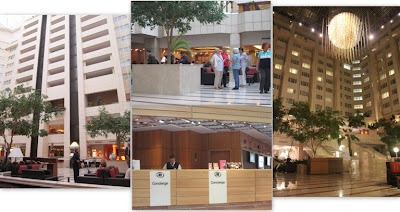 But when I entered the hotel, I was dissappointed to find and old and lousy Sheraton. 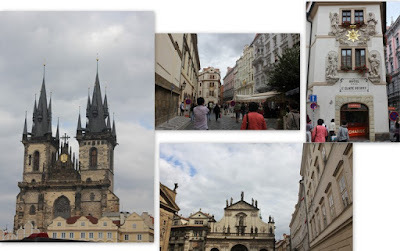 We continued walking from Charles Bridge to the old town of Prague. 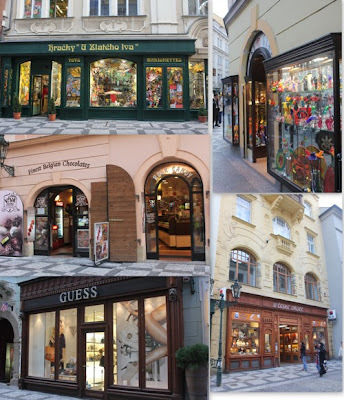 We passed by really antiques street, beautiful shops, lovely buildings, wohooo I love every corner of this old town:) I have managed to recap many pictures for this special post. 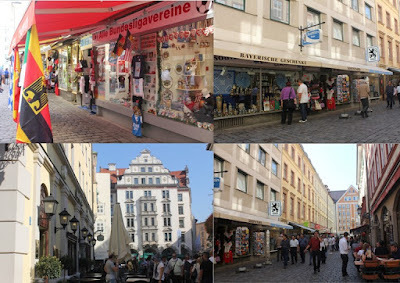 Hope my blog readers can enjoy this old town just like me. First destination was the astronomical clock, which what I read from Wikipedia, this clock was installed in 1410, making it the third-oldest astronomical clock in the world and the oldest one still working. The clock is located at the Old Town Square, a very busy square especially with a food festival when we visited the place. I also saw people having fine dining at the resto around the square, wow every table has its own flame to keep the guests warm. 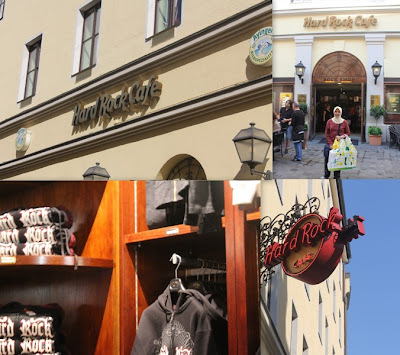 After visiting the clock and also the square, we were given free time to explore the old town on our own, our group visited the hard rock cafe first. While other people were shopping, I enjoyed free wifi from Hard Rock Cafe. Than we walked to a street full of souvenirs shops. 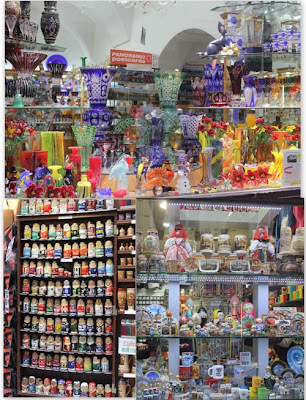 The famous souvenirs will be bohemian crystal, but of course it is too fragile to take it home. One of the famous tower is the Powder Tower, I visited this place with Pak Eddy and Lisa. By the way, it was very challenging to find toilet at the old town. The toilets are limited, we had to queue and of course we had to pay. We also had dinner at the old town, we had dinner at a Thai resto. Too bad no pictures were taken:p After the dinner, we went to Palladium mall before going back to the hotel. This mall has a Marks and Spencer outlet, Esprit, Mothercare, and also Sparkys, the toy store. Later that night, when everyone were transferred to the hotel, I ask Pak Yulius, one of the photographer of our group, whether he would like to walk to the river near the hotel. He would love to. So we walked from the hotel and take a picture of Prague's river at night. 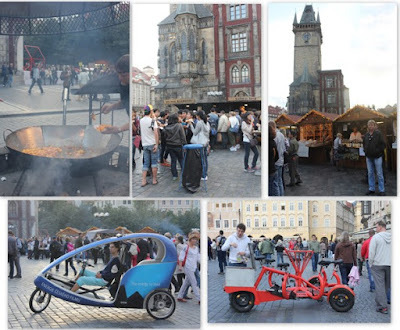 All about Prague was fantastic. 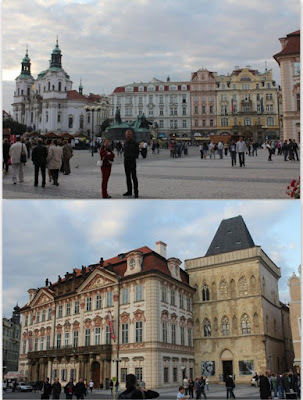 There are still so many places to see, we had only a full day to explore Prague, and for sure it was not enough. Looking forward for another chance to visit this beautiful city.